This GSI boiler is simple, efficient and incredibly strong, the perfect combination for alpinists, fast-packers and long distance bike tourers. A folding handle locks into place while you're cooking and then folds up for compact storage. This GSI boiler is simple, efficient and incredibly strong, the perfect combination for alpinists, fast-packers and long distance bike tourers. 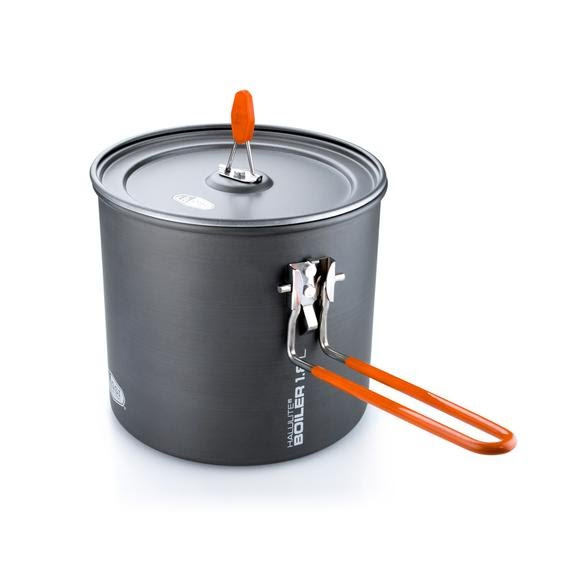 A folding handle locks into place while you&apos;re cooking and then folds up for compact storage.